Beer Nouveau didn’t just start as England’s smallest commercial brewery (weighing in with a brew length of just 42 litres) – it was also one of the UK’s most environmentally friendly operations. Beer Nouveau’s original brewery was made mainly from recycled materials. 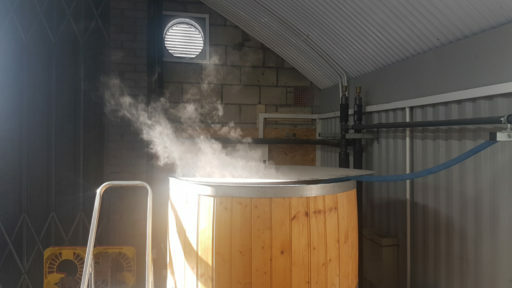 Even the brewing equipment was hand-made from reclaimed “single-use” eco-kegs, while deliveries were made using public transport and pedal power. But there’s more to this brewery than a commitment to green thinking. There’s also a bigger commitment: to great beer! Producing a mix of traditional styles based on 19th and 20th Century recipes, to experimental batches containing thyme, sage, passion fruit (and no small amount of passion for the craft).